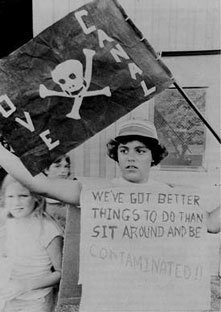 The enactment of hazardous waste regulations in the 1970s was largely a result of efforts by citizen groups who joined together as a result of the environmental horrors at Love Canal, New York, Times Beach, Missouri, and other locations across the country. The efforts of homeowners and citizens affected by pollution led directly to the national media attention and public awareness for the need to manage hazardous wastes. In contrast to Love Canal and Times Beach, numerous incidents occur where citizen groups overreact to perceived environmental risk purely as a NIMBY (not in my backyard) prejudice. The burden to differentiate between real and perceived risks often falls on local, county, and state government and the court system to decide on the amount and degree of regulation needed to assure that citizens are not affected by environmental risk. What Power Do Citizens Really Have? 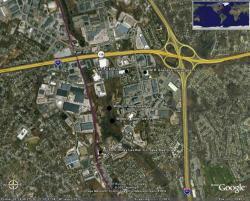 Locations of the defendants and municipal wells G & H.
Many believe the degree of citizen involvement at Woburn was extraordinary. Shortly after her son Jimmy was diagnosed with leukemia, Anne Anderson began noticing other common illnesses throughout her neighborhood. 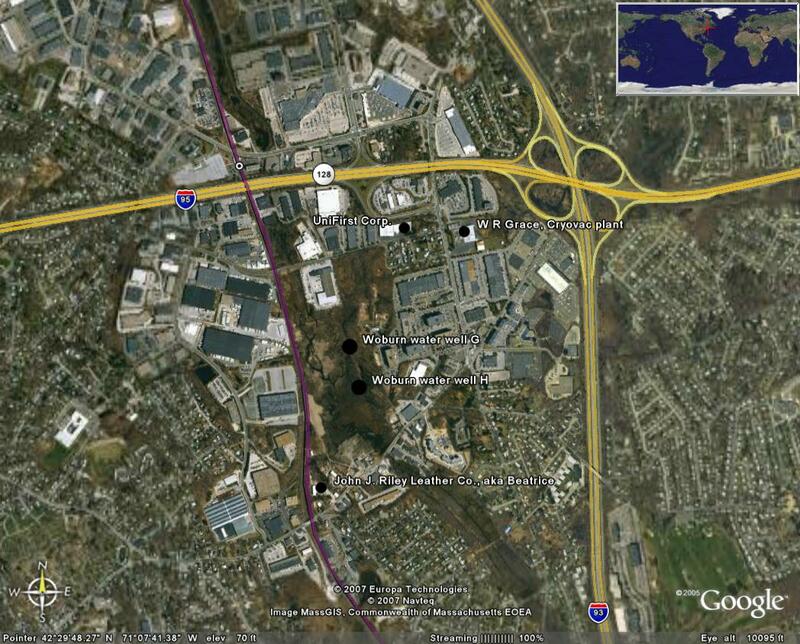 It was Anne Anderson, Donna Robbins, and their neighbors and friends who first identified the potential cancer cluster. Anne Anderson was one of the first to suggest publicly that there might be a connection between Woburn's terrible tasting ground water and the childhood leukemias and other illnesses that plagued east Woburn. As the families in Woburn actively pursued trying to identify the cause of their illnesses, they often expressed frustration with the lack of cooperation provided by state and city officials. The authors of "No Safe Place," Brown and Mikkelsen 1990 , describe and evaluate the Woburn problems and suggest that the persistence of the Woburn citizens in identifying the problems and seeking resolutions was unique compared to other major hazardous waste sites where citizens were involved in trying to establish justice. The plaintiffs comprised a group of residents in east Woburn who believed the health of their family members had been severely affected by the consumption of the contaminated drinking water from wells G and H. The toxic contaminants, TCE and PCE were first identified in wells G and H May 1979.) These citizens had compelling stories relating the illnesses of their family members and their perceived connection to the contaminated drinking water, which largely was distributed only in east Woburn. The story of the Woburn children captured the nation's attention and raised public awareness regarding the connection between ground-water contamination by improper disposal of hazardous wastes and public illness (read the early newspaper articles in the Woburn Daily Times Chronicle. Jan Schlichtmann, the plaintiffs' attorney, believed he could secure a large award against the defendants if he could get the plaintiffs families to testify in the trial. Since none of the plaintiffs were experts in the field of ground-water pollution or medical science, their testimony could only be used to validate the pain and suffering. Recognizing this weakness in their case, the defense attorneys were ecstatic when Judge Skinner made one of his controversial rulings and divided the trial into phases. The first phase of which would decide whether either or both defendants was responsible for the contaminants measured in wells G and H (see Woburn trial chronology). This greatly undermined Schichtmann's trial strategy by removing the emotional stories of the family members from the trial. It may be appealing for students representing the plaintiffs in a mock trial to utilize members of the plaintiffs families as part of the trial strategy. Keep in mind that the rules of evidence would prohibit them from providing opinions regarding the source of the contamination or the medically related affects of the contamination. Their testimony would have to be strictly limited to visual observance or description of the conditions of the victims' health. Any opinion regarding the source of the contamination and its effect on human health would be strictly hearsay that would be sustained upon objection. If a mock trial would proceed to the third phase in which damages were evaluated, the citizens' issues related to property values, quality of life, and lost earnings would all be pertinent and important. Cancer Clusters: Fact or Fiction?